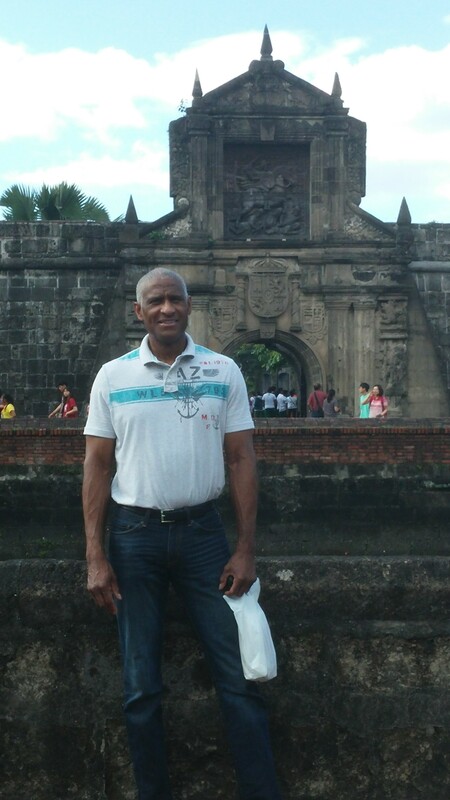 This was my first trip to the Philippines. After a brief stay in the Prestige Class lounge at ICN I boarded KE 623 , a 777-300, to MNL. 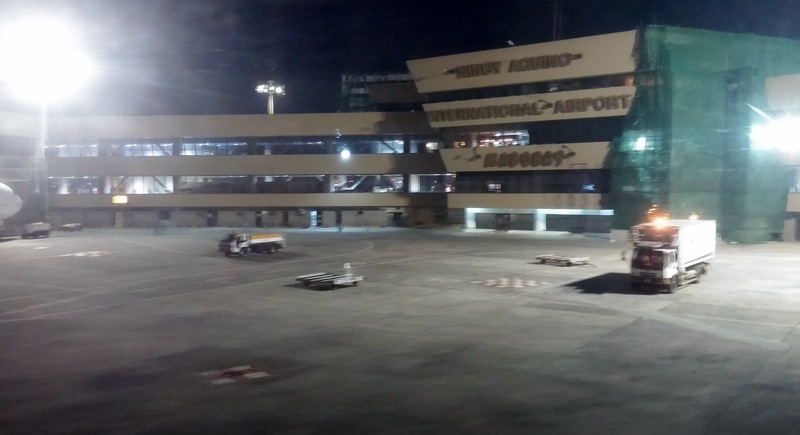 Aquino airport late at night. Immigration was quick and painless. US citizens do not require a visa for stays less than 30 days. After immigration I took a taxi to my hotel in the Makati section of Manila. It was about a 20 minute ride. Taxis are inexpensive and easier since I was unfamiliar with the public transportation system. My hotel was the Best Western. It is a three-star hotel with free internet and a fitness center. And it had the best rate in the area. Makati is a tourist and business area with many bars and restaurants. 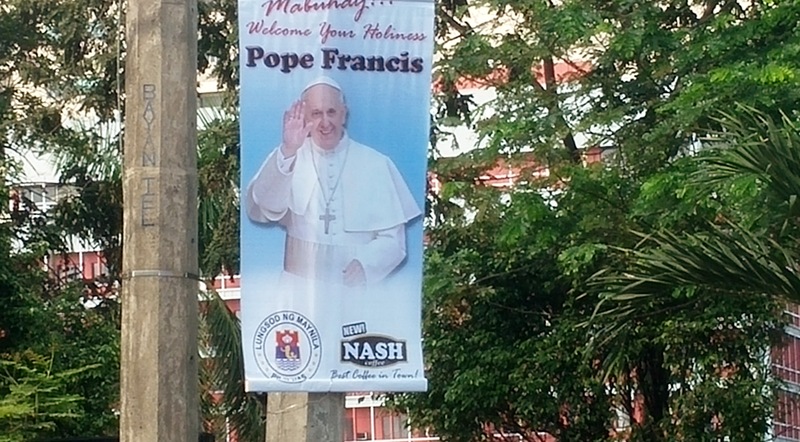 My visit preceded the Pope’s by a few days and signs celebrating his visit were everywhere. 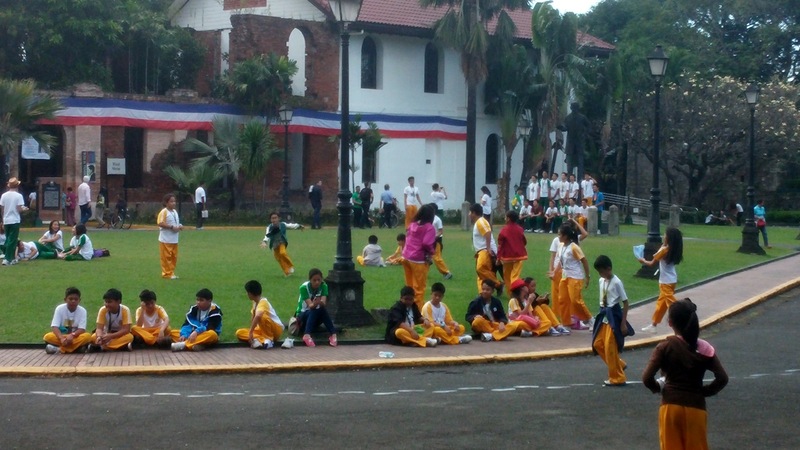 The government estimated that five to seven million would attend the outdoor Mass. 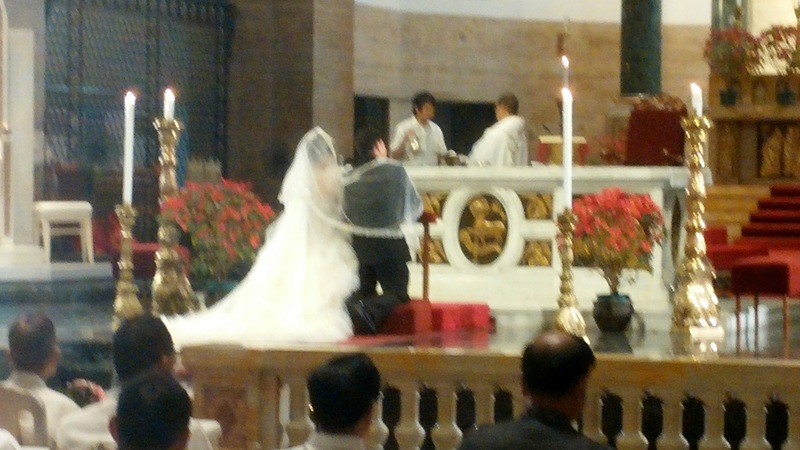 The Philippines is a predominantly Christian country with about 80% of the population being Roman Catholic. 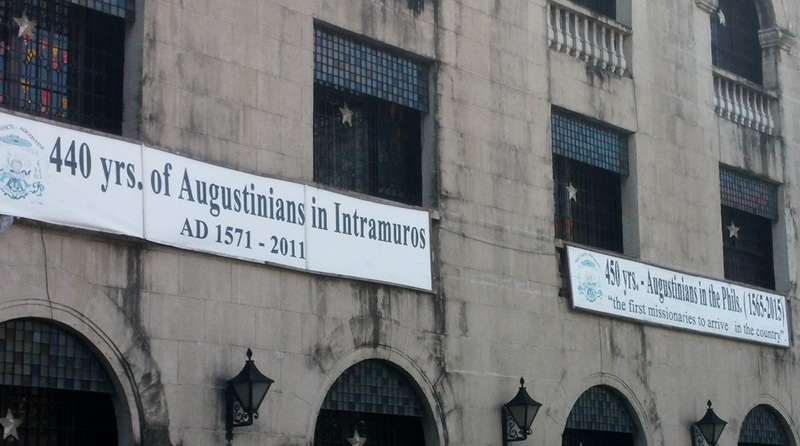 This is a legacy of the early Spanish colonizers. 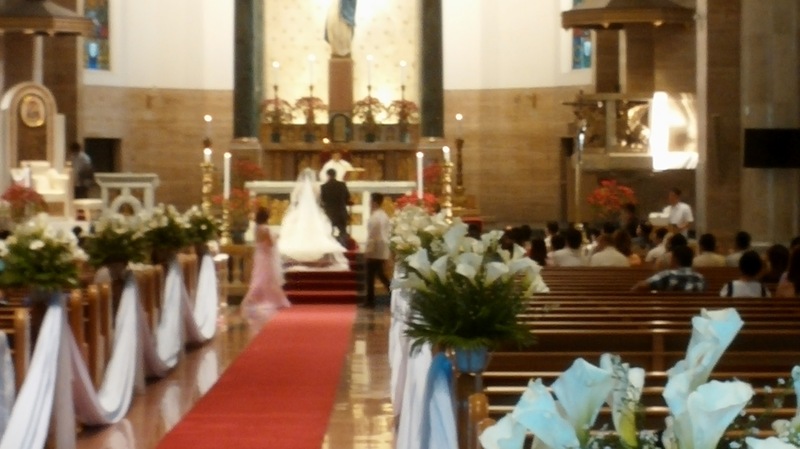 Weekend weddings in the cathedrals require booking over one year in advance. A popular form of transport is the Jeepney. 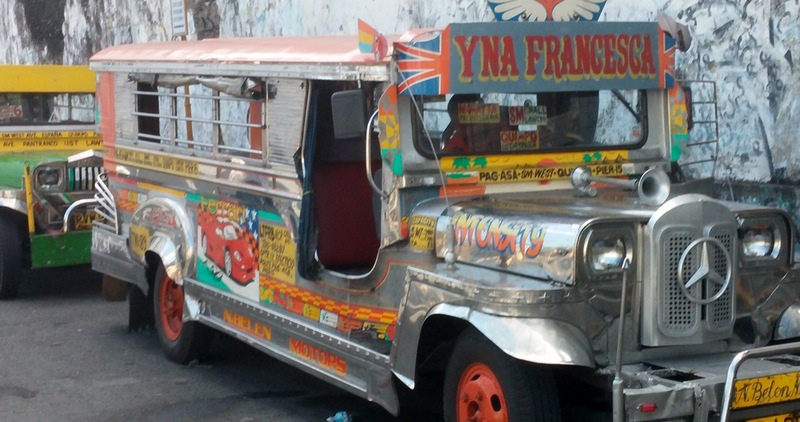 Jeepneys were originally converted from leftover WWII Willys jeeps. 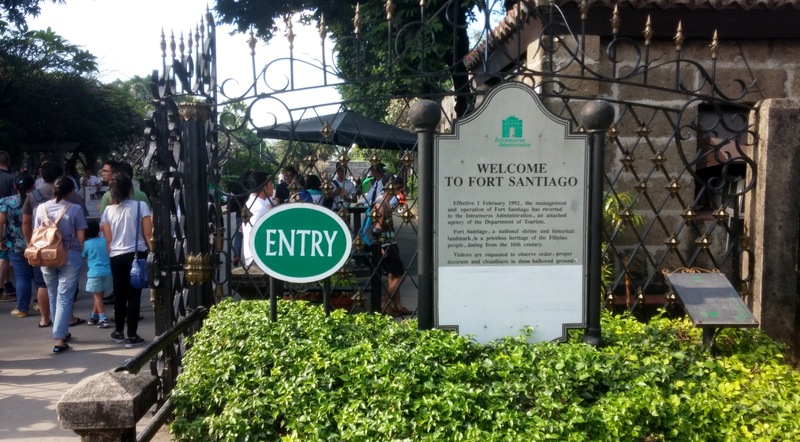 Not far from the Roman Catholic Cathedral of Manila overlooking the Pasig River and Manila bay is Fort Santiago. 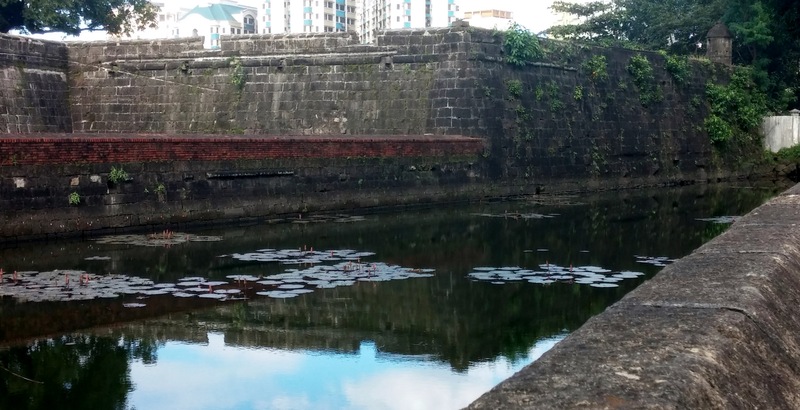 This fort was built by the early Spanish colonists and served as the main defense for Manila and Spanish interest in the Philippines. 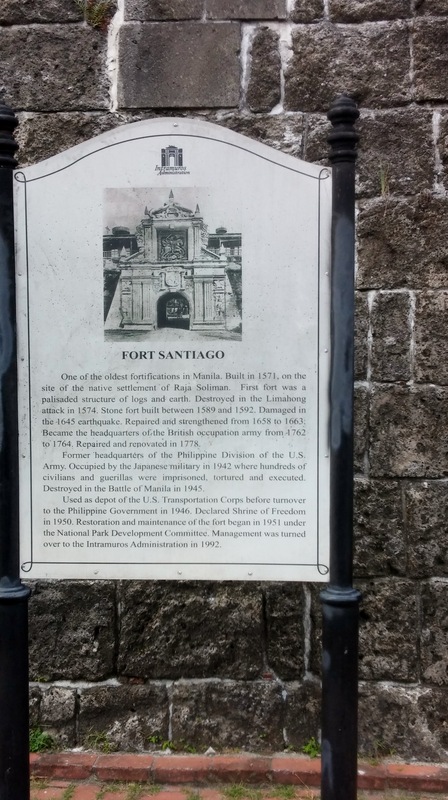 Fort Santiago served as US Army HQ from 1898-1942. 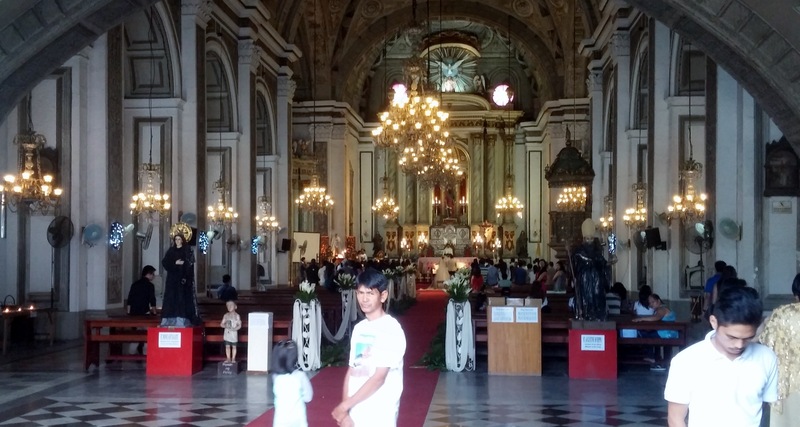 It was occupied by the Japanese from 1942-1945 and held many American and Philippine POWs who were massacred in the battle of Manila in 1945. 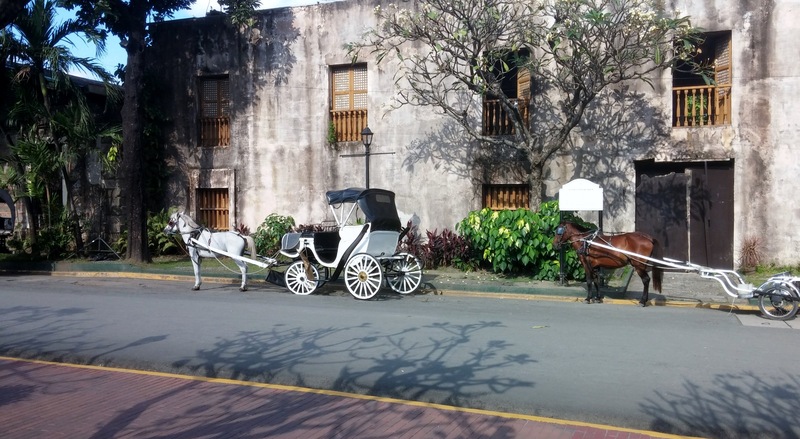 Fort Santiago is now a historical park enjoyed by locals, students and tourists. 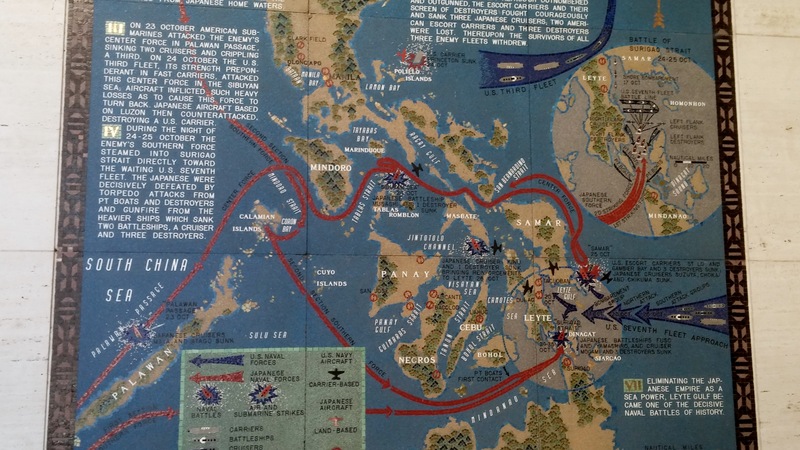 My Manila tour also included the Manila American Cemetery and Memorial. 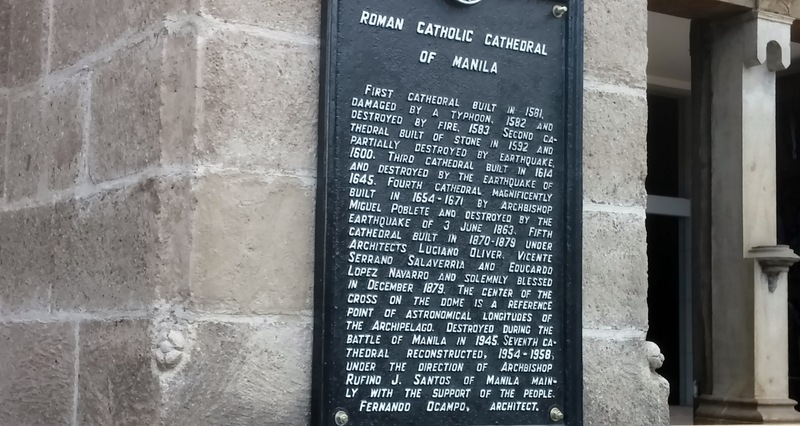 his cemetery is located on a plateau in Bonifacio, one of the wealthier sections of metro Manila. 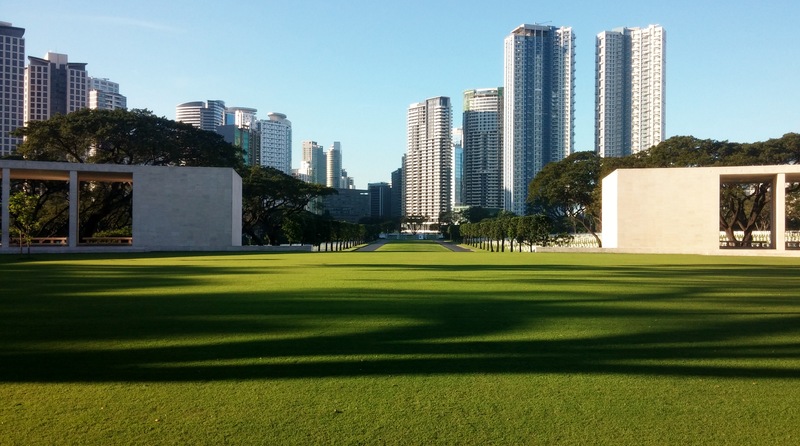 It contains the graves of over 17,000 American and Philippine dead from WWII. 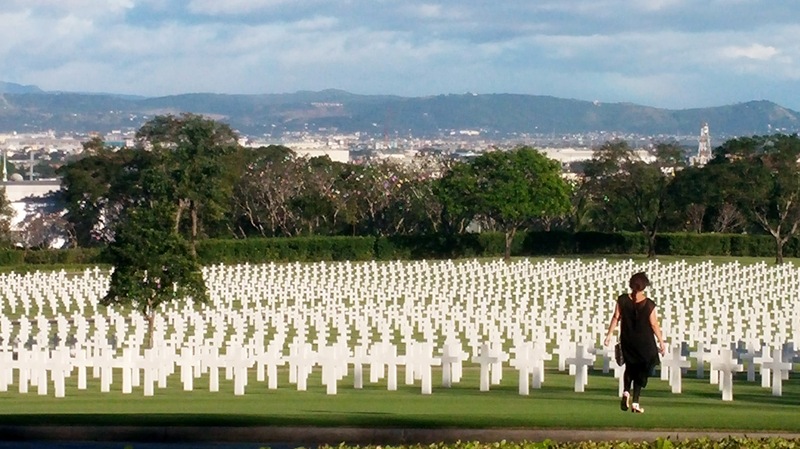 No other cemetery has more Americans who died in WWII. I was very impressed with the high level of maintenance here. The cemetery was immaculate. I’ve seen no other US monuments or cemeteries, including Arlington National in DC that can match it. 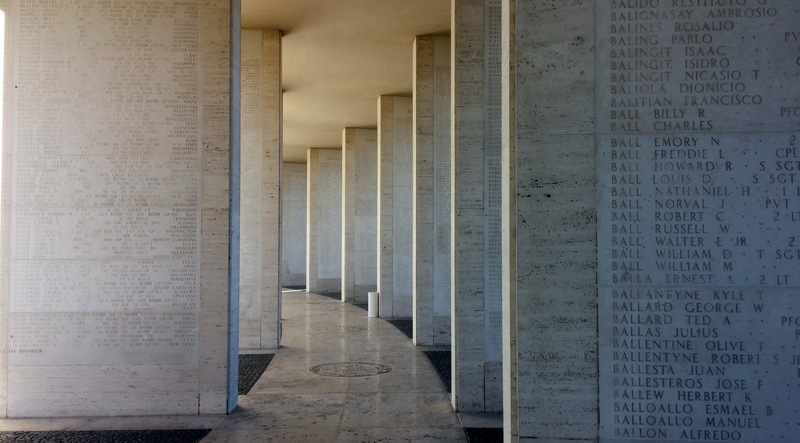 Marble pillars contain the names of those buried here as well as the names of military MIAs. Remains are still being discovered in the Pacific and identified. 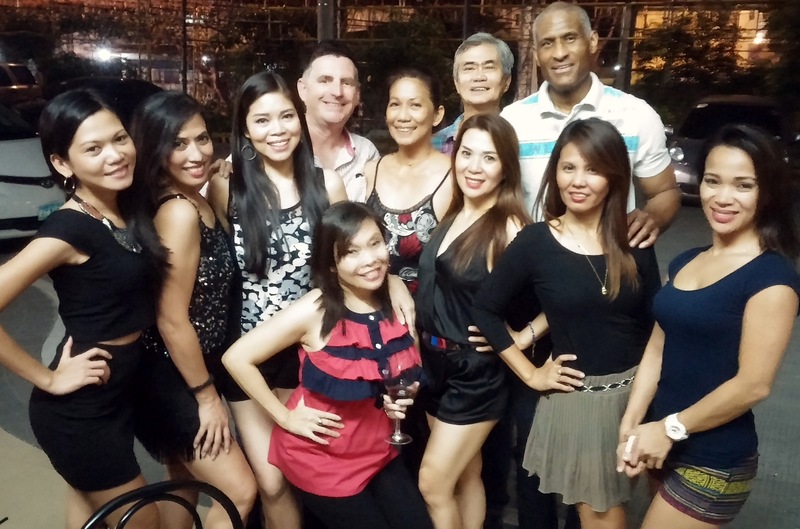 The highlight of this trip was sampling some of the many Salsa and Latin dancing venues in metropolitan Manila. 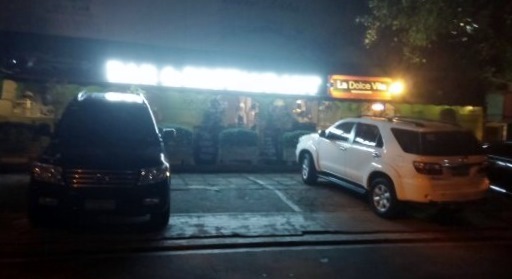 La Dolce Vita and Brazzas Café are two clubs in Makati. Brazzas was hard to find as it is located back from the street in a residential and shopping complex. 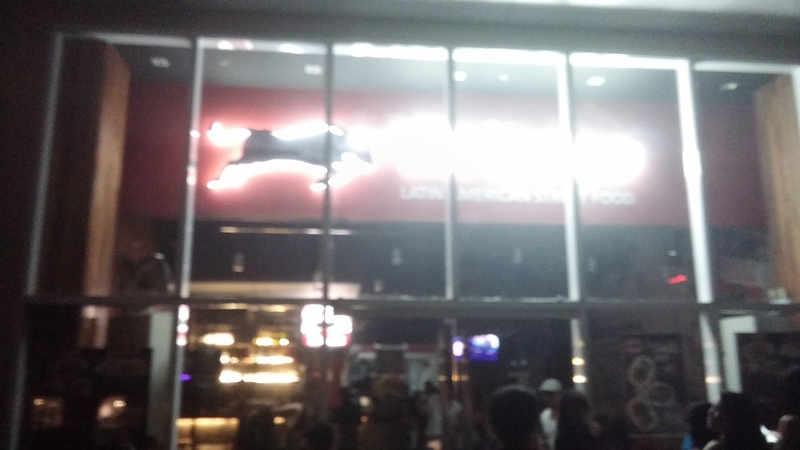 I met a great group of dancers and danced Salsa, Bachata, and Merengue until closing. Danny Pintacasi, Yna, and Lauren talked me into coming back for the Philippines Salsa Congress is November. I will also try to get back before then. Yna and friends even had their Samba headdresses in their cars and were kind enough to model them. Very cool, ladies! The congress in November will be a blast.